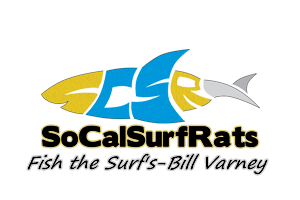 Socalsurfrats was started to share the techniques and styles of surf fishing. We wanted a place where surf fishermen / women could share their experiences and excitement with others, without get ripped apart for sharing to much. This is not a place to bash each other. So No flaming - No Profanity - No Spamming. Remember the old saying. "If you can't say anything good, don't say it at all." So if you like to talk surf fishing, and your looking for a surf fishing home then you have come to the right place. Have fun - Share - Encourage. Make some new fishing buddies. Note: We don't try and hide our fishing places here. If you want to share .. share. WE think there is nothing better then sharing a "AO" and someone else catching a fish there!. If you don't want anyone to know .. edit the photo! Simple. ** If you have any suggestions for a new forum, Beach, Pier or a great idea. Please PM me. P.S. - You MAY link to your Site or Blog in your signature file.